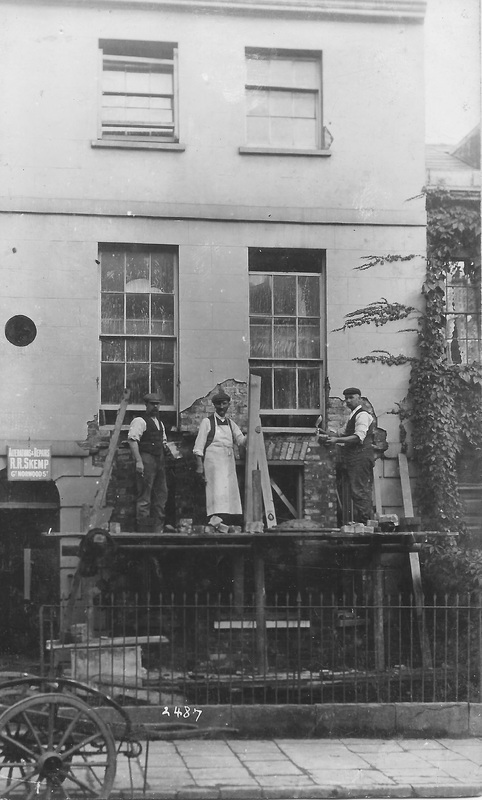 Bill Davy has kindly supplied this postcard of men working for a local builder called R.R. Skemp, who was based at 14 Great Norwood Street in the early part of the 20th century. Although we have little information about Mr Skemp, he is reported in the local press in 1901 acting on behalf of building trades employers, opposing a rise in wages for the workmen by 1d, to 6d per hour (about 2p in today's money!). I wonder it anyone knows where this photograph was taken?